This is a fun and cute book that allows the imagination to run wild for kids. 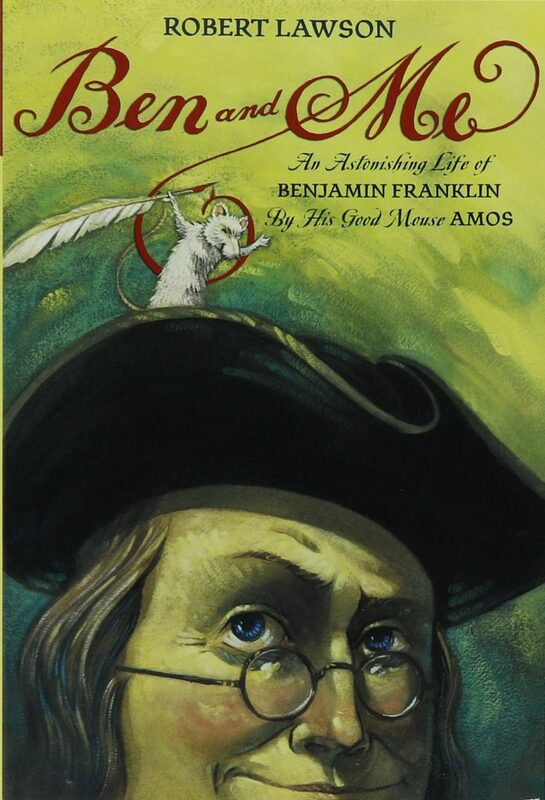 Don’t we all like to think that Benjamin Franklin had a pet mouse who influenced his daily life. 🙂 This book is written for young middle school children. While it is definitely not historical accurate, it does have a few true things about Franklin’s life and what he invented. This book does cause the readers to believe that the mouse influenced most or all of Benjamin Franklin’s inventions which we know is not true, but it makes the story fun for kids.